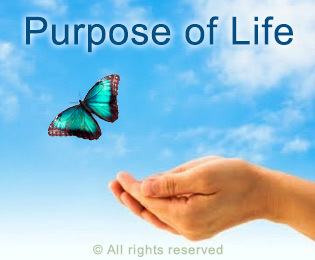 Ego is considered a big impediment not only for a seeker desirous of God-realisation but it also dampens one’s life. From a spiritual perspective, ego means considering oneself distinct from others and God. Due to ego we identify ourselves through the physical body and the various impressions in various centres of our subtle body. Due to ego, we do all actions with the understanding which is limited to the 5 senses, mind and intellect. When we begin to make conscious efforts to reduce ego then we begin to understand that the same God Principle exists within all. If our ego is high then we are unable to identify with the God Principle within us. In lay terms ego leads to Pride, superiority, conceit and ‘I’ness. Additionally, a person with high ego is more susceptible to attacks by negative energies. 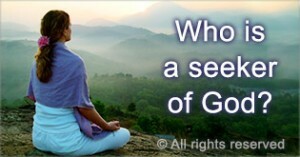 To reduce ego we have to listen to spiritually evolved people or Saints. When we make efforts to reduce ego as per the directives of a spiritual authority then our spiritual progress happens rapidly. Ego is a one of the greatest impediments in our life which erodes our happiness at worldly and also spiritual level. When we learn how to reduce ego, we are able to harness God’s grace. In this article delineates about the various types of ego. Broadly, there are two types of ego: God’s ego and human ego. 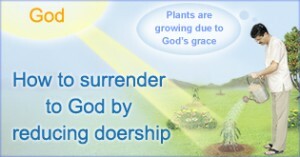 Doership means when we do every action with the feeling that we are the doer and it is a major aspect of ego. If we do not listen to a spiritual authority about what spiritual practice to do because of our ego, this results in obstacles in our spiritual practice. with the feeling that we are the doer and it is a major aspect of ego. 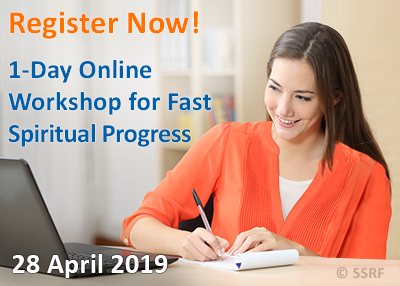 Learn what steps to follow in spiritual practice along side efforts to reduce ego to make fast spiritual progress. The personality defects in a person are responsible for unhappiness. 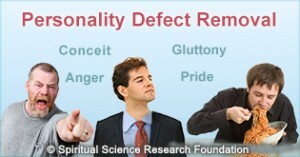 It is very important to practice personality defect removal and learn how to reduce ego for our spiritual. 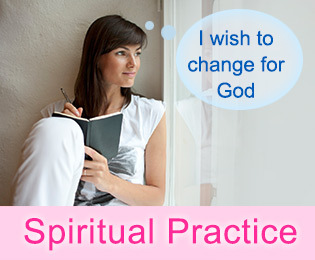 Read about how spiritual practice helps us to experience bliss. Research centre, VD made more efforts to reduce her ego and experienced the benefits. 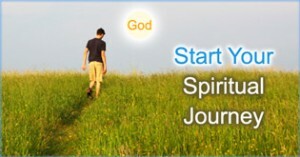 Learn how you can start your spiritual journey today! Prayer is an important part of spiritual practice that helps in reducing ego.